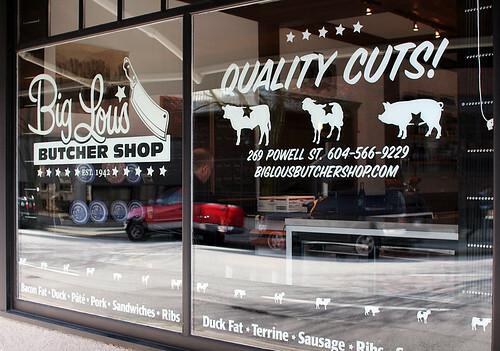 We went to explore Big Lou's Butcher Shop for lunch on Friday. 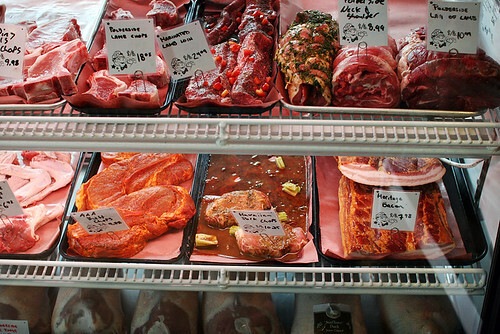 My recent eating habits have been teetering on vegetarianism, but there is no denying I still love meat. 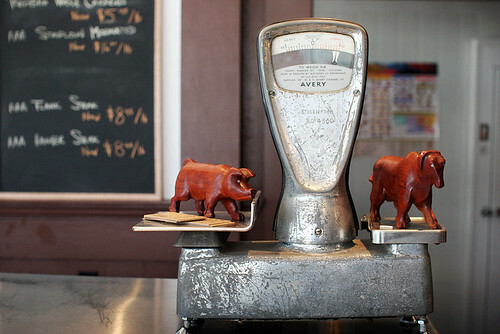 Cows and pigs are nice animals, but damn they can taste good too. But it's ok. 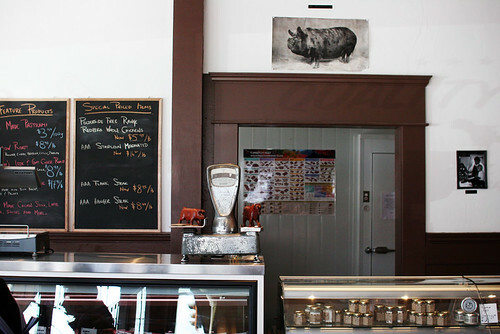 They employ nose-to-tail style butchery here, and the seasonal meats come from small and sustainable local farms. 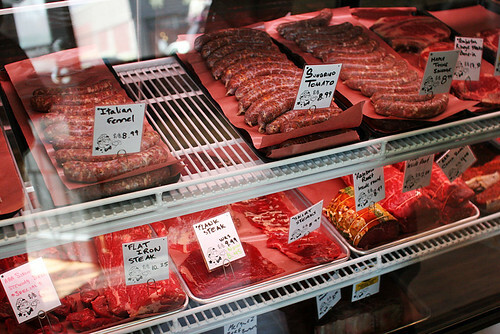 Here's some of what their refrigerators have to offer. I was looking at these like they were pieces of meat! 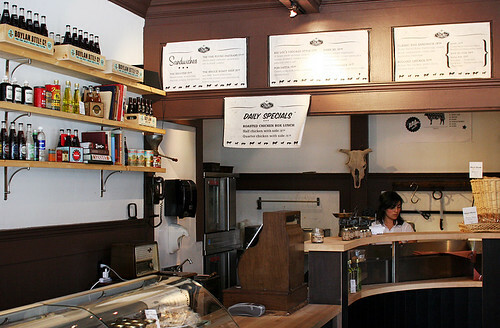 We got to the butcher shop around 1, and already the two sandwiches I most wanted to try -- the Turducken and the pork belly Porchetta -- were sold out. But we ordered three sandwiches between the two of us anyway, which meant that I pretty much didn't have to eat for the rest of the day. 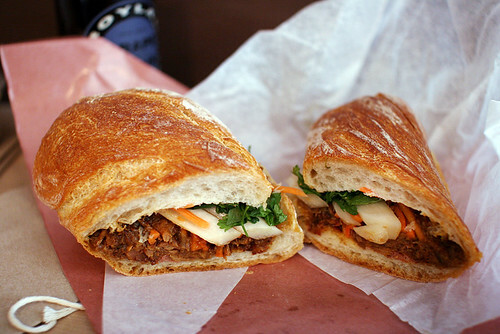 The Banh Mi: pickled veggies, pork shoulder, house-made pâté, spicy mayo and cilantro. 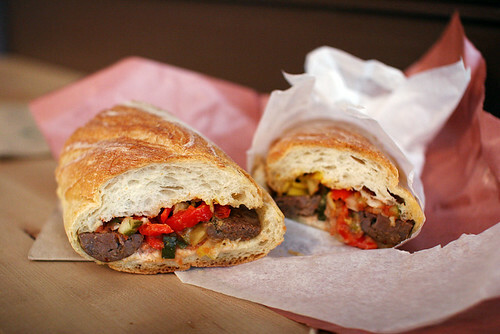 This tasted like a Vietnamese sub, except with delicious high-quality meat. 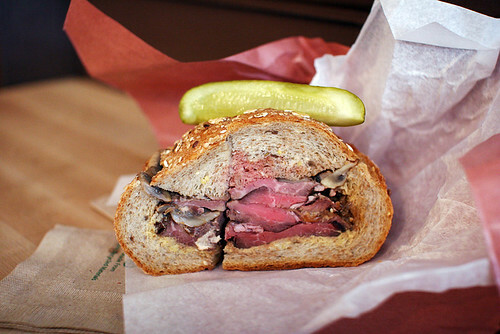 The Shooter: seared steak, mushrooms, shallots and hot mustard served with a pickle on top. The steak was really tasty, though I might have liked this one better if it were served warm like the others. 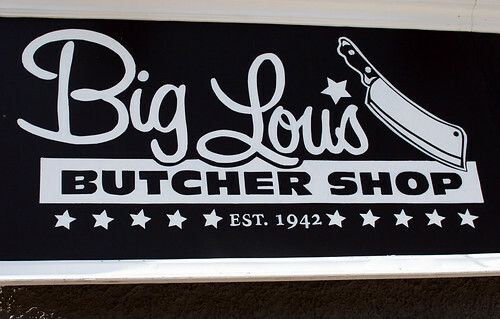 Big Lou's Chicago Style: house-made sausage, pickles, onions, peppers, tomato mayo, mustard and celery salt. 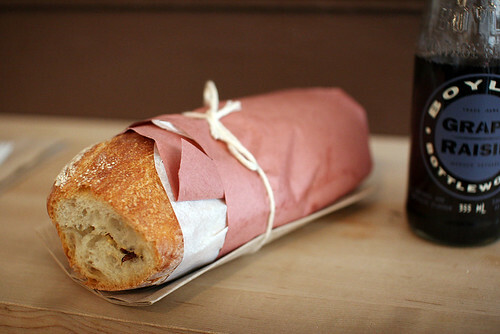 A super-fancy hot dog. 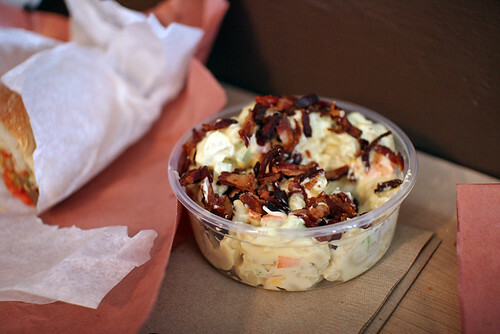 On the side: some Crispy Bacon Macaroni Salad. Mmmmm, that crispy bacon. So crispy and bacony. I'm sure I'll be going back soon. 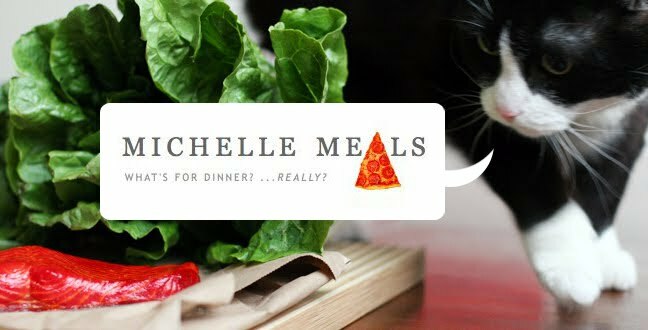 No sandwich shall go untasted.